Anniversary climbs are really fun events—there are people from other mountaineering groups, free food (sometimes), and a general feeling of fun. 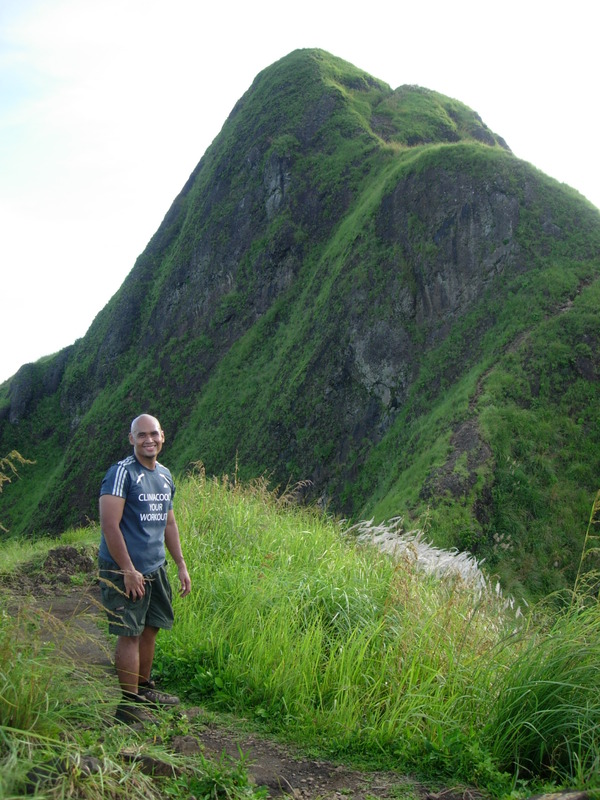 It was the 5th Anniversary Climb of Guys4Mountains, Inc, my mountaineering group and we were celebrating it at Mt. 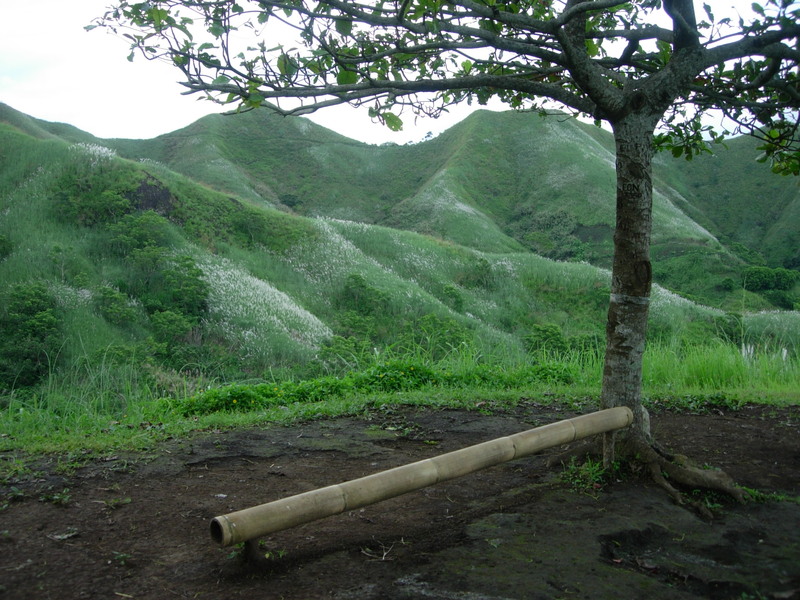 Batulao in Batangas. After Tapulao the previous weekend, Batulao is a respite. 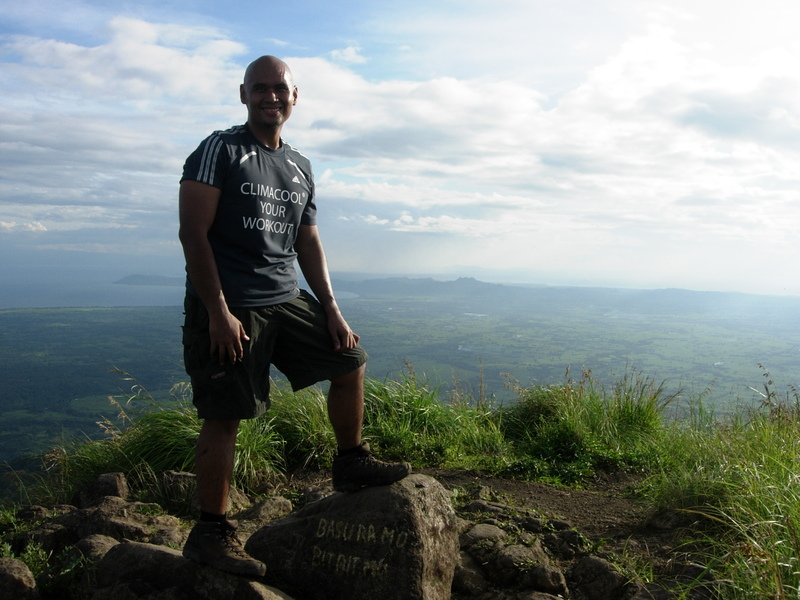 This was my second time in Batulao but my first time to summit. 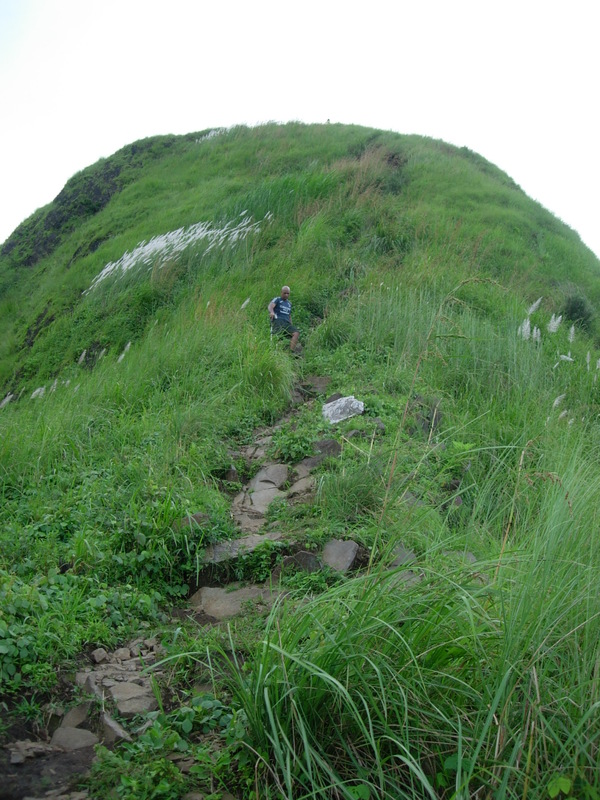 After succumbing to laziness and not summitting Tapulao the morning after, I was determined to summit this mountain the same day we reach Camp 1.
and rice, a toilet break and then we were off to the jump-off point. Elf brought his Hi-Lux so we clambered aboard the back which saved us the tricycle ride to the jump-off which was about a kilometer away. was definitely not the one I took before. This was later confirmed when one of the porters told me that there was another easier trail that had a bridge. Sometimes I would stop and wonder where we were headed to. Oyo kept urging me to just keep going on. After all there seemed to be only one trail and when it did branch, it always converged at one point. 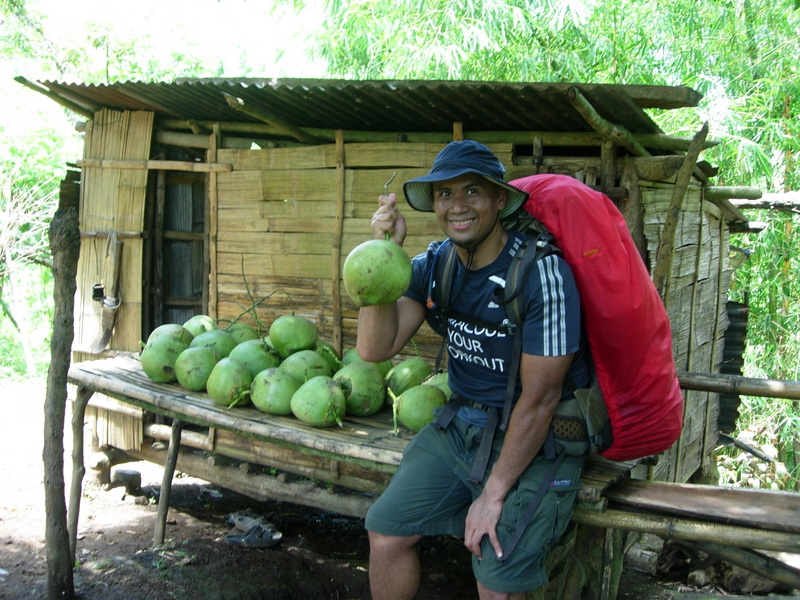 After a steep slope, we finally hit the hut selling halo-halo that marked the junction of the old trail and the new one. Though I did remember that the hut used to be on the right side but now it was on the left. Rowell also observed the same thing. 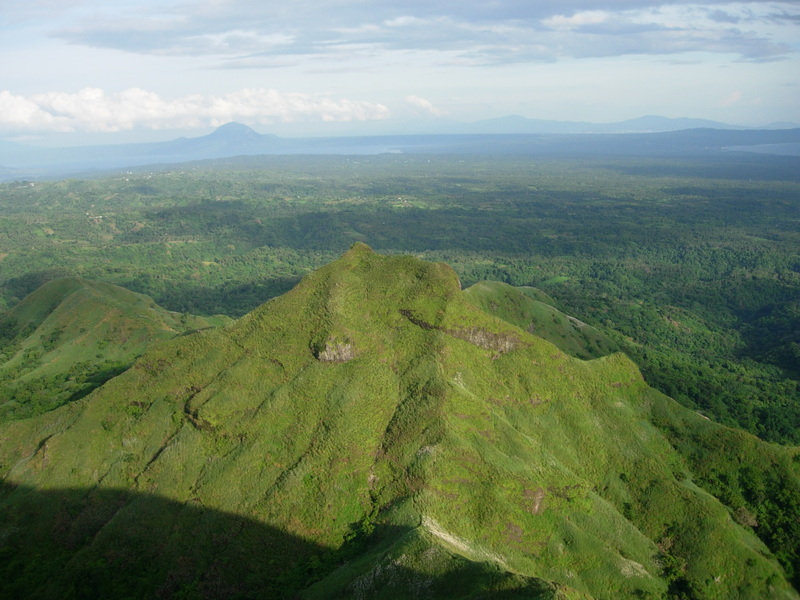 Oyo wanted to take the new one that went straight to the summit as it looked very near already then go down to Camp 1. But no way was I gonna clamber down the steep stone wall with a full pack. So we turned left to follow the old trail. 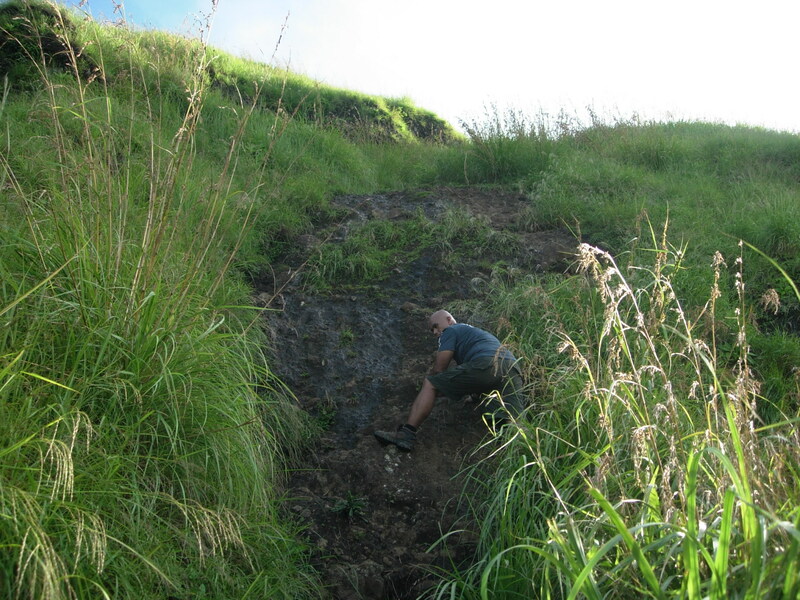 For the first timer, the trail is a little deceptive as it leads down rather than up. The cogon was very thick and sometimes it was quite hard to see where your were walking as the tall grasses cross each other. When we emerged at the small stream shaded by guava trees, we passed a small group of climbers which gave us more reason to go full steam so we could secure our space at the campsite. When we reached Camp 1, two guys had set-up camp there since Tuesday! Oyo and I set up our tents and waited for the others. I set-up my tent near the socials area which was a big mistake as I hardly got any sleep in the evening, especially when Mimay arrived and took over the roll call of calling everyone for a shot. 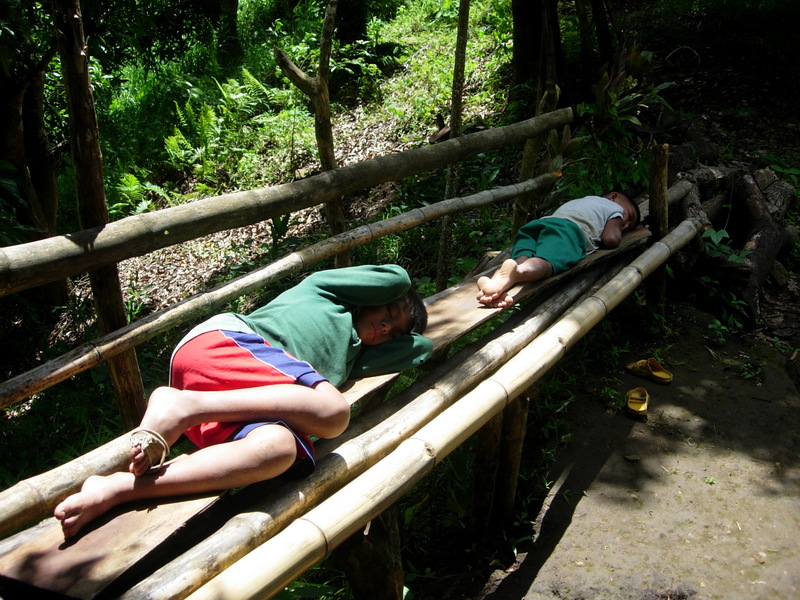 Camp 1 is the shadiest of all the camps and there were bamboo poles set on rocks which made for make-shift benches. 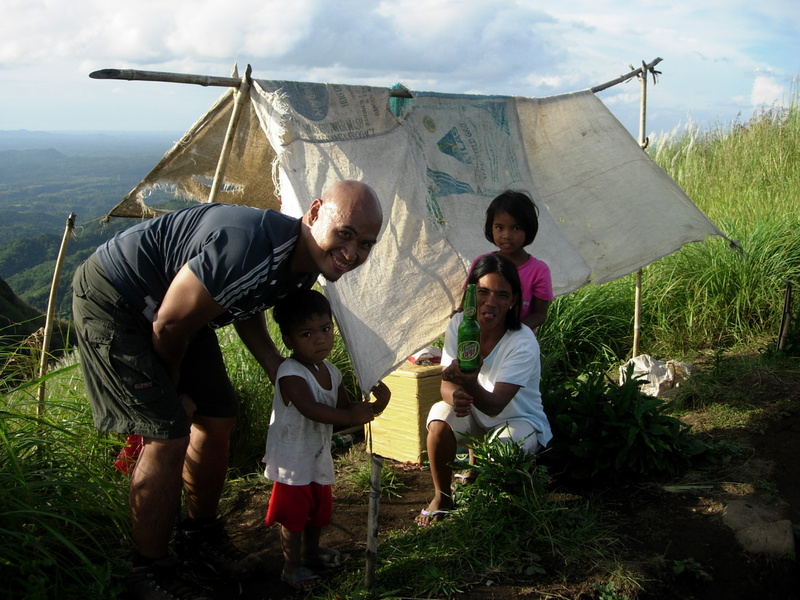 Another thing I like with Batulao is the presence of Mang Joseph who can fetch water for you (Php 10 for a couple of pails depending on what you’re going to use it for) should you be too lazy to go down to the river and of course, the CR with a toilet bowl. 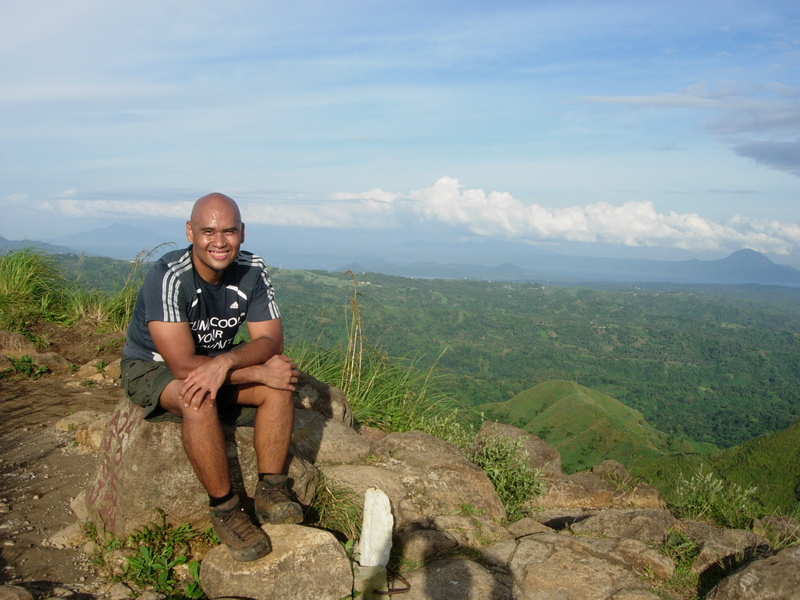 What's a hike in a Batangas mountain without some buko? The other arrived shortly and close to 4:30pm Oyo and I both headed to steep trail to the summit. The trail from Camp 1 led all the way up passing through small patches of flat campsites. The higher the campsite, the nicer the view. Either the people who use these camps know how to keep it clean and leave very minimal impact or Mang Joseph who collects the Php 20.00 registration fee knows how to manage the sites. Either way, I hope it stays that way. 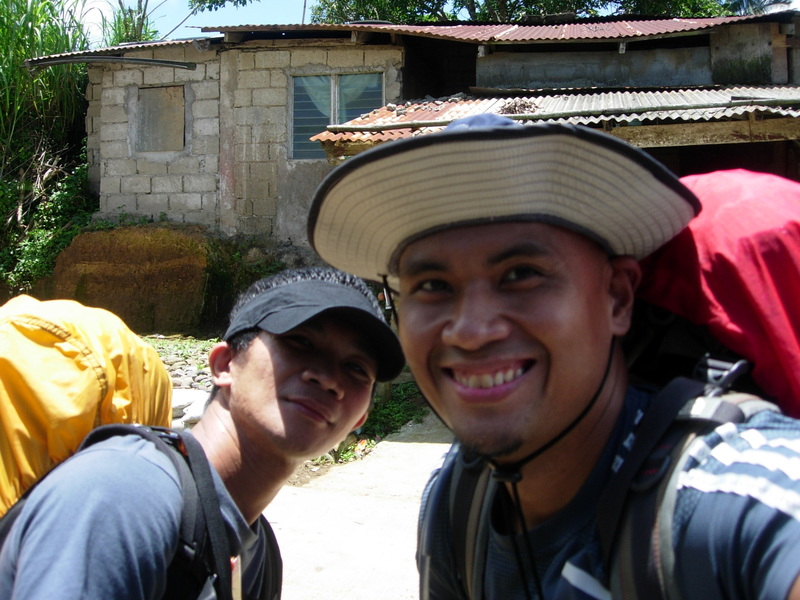 When I reached Camp 7, a tall guy who was part of the group we had passed by on our way to the camp was standing at the top of the trail and he blurted out “Nakakatakot. Yun malalaking bato. 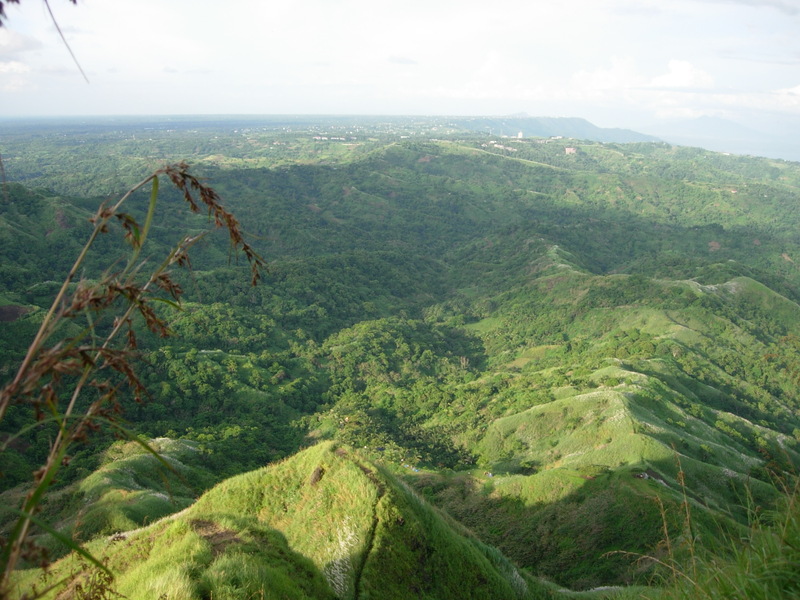 Pag-dating mo dun sa pangalawang bundok. Natakot ako. 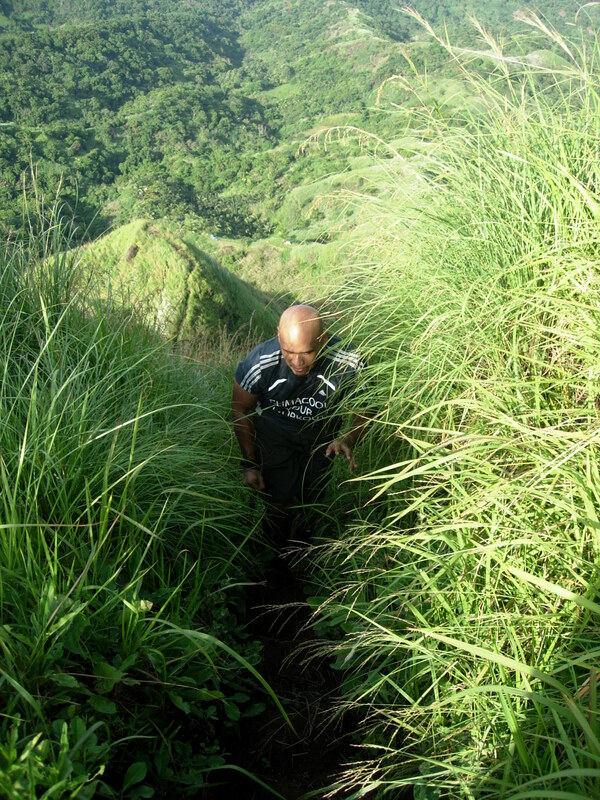 Bumalik ako.” I gazed up at the ominous looking trail and felt the shivers. 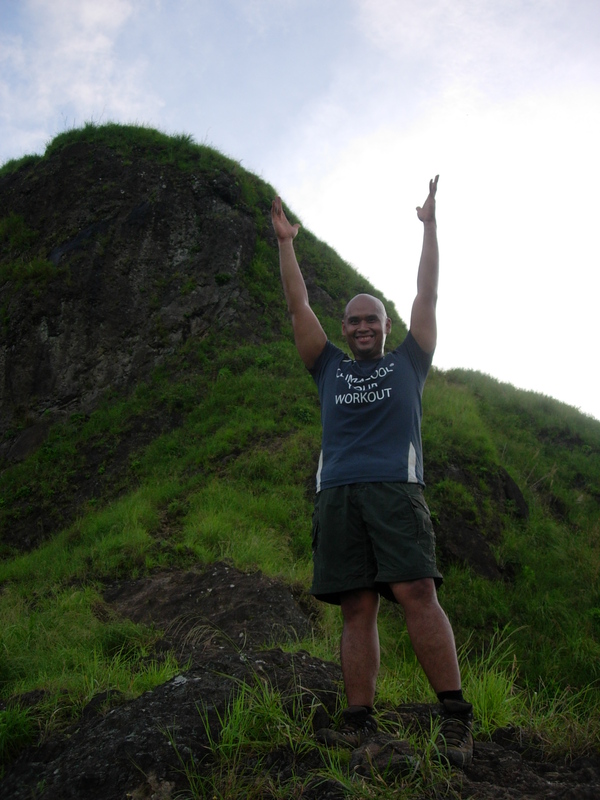 I’ve already heard of Batulao’s notoriously rock scrambling portion of the trail and the guy’s statement didn’t make it any better. Oyo being with me boosted my confidence a bit. Past Camp 9, the trail started to get a little tricky with a lot of rock scrambling. I like scrambling on rocks as I find it easier than hiking up steep trails. But nothing quite prepared me for the sheer wall that had water dripping down. With my big feet, it was quite difficult looking for some footholds. I kept thinking “via ferrata..via ferrata” but the rope that was tethered didn’t look too sturdy so I didn’t want to risk hauling myself up with it. Passed that wall, everything was easy already and we finally made it to the top. There was a make-shift shelter there with a family selling softdrinks. 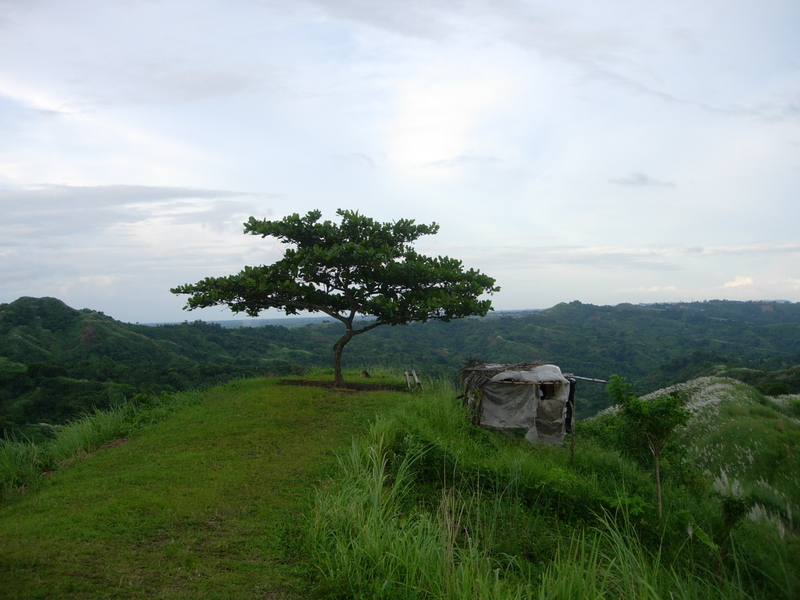 I think any mountain in Batangas, no matter how high, would always have someone selling something. The 360 degree view was amazing. 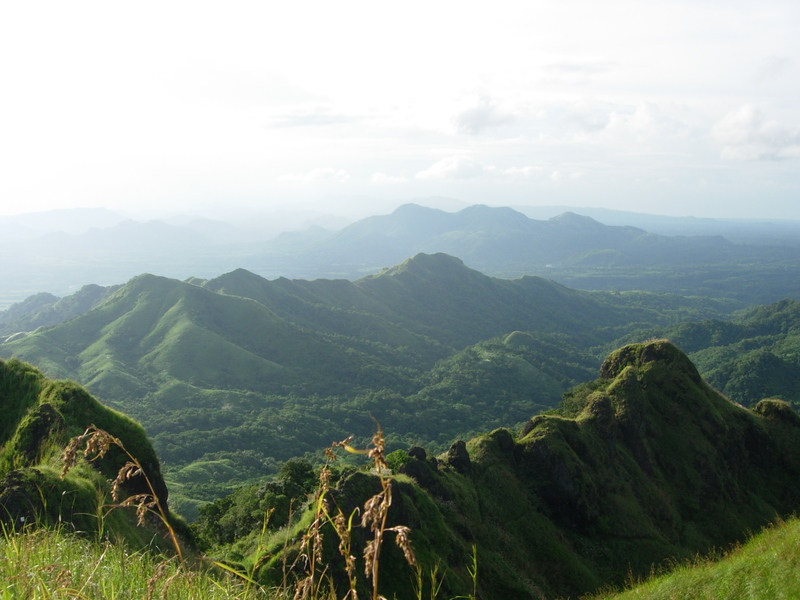 On one side were the flat plains and farmlands of Batangas while on the other were the undulating mountain range. On the other side, we saw a group making its way up using the new trail. When they arrived, we started our descent. The peak, which also happens to be Camp 10 is really small and there isn’t much room. From above, we could see people pitching tent at all the camps, even the ones higher up like Camp 8. As always, like an old man stumbling on his cane, I gingerly made my way down using my trusty trekking pole for support amidst the rocks. If it gets a little tricky, I simply sit down and slide. When we reached the wall, the group that was at the peak earlier was still there. One of the girls was too scared to go down and had to be coached. She kinda looked worried and kept wiping her hand on her thigh. “Girl, take off your shades,” one advised. As someone who hates descents, I sympathized with her; but she was taking too much time. Seeing that we were waiting, they let us skip the line. Oyo as usual, simply scampered down. I looked back and the girl was making her way down with one of the guys coaching her every move. We met Markiko and Russel who were making their way up. Back at the campsite the rest of the G4M guys had already arrived. 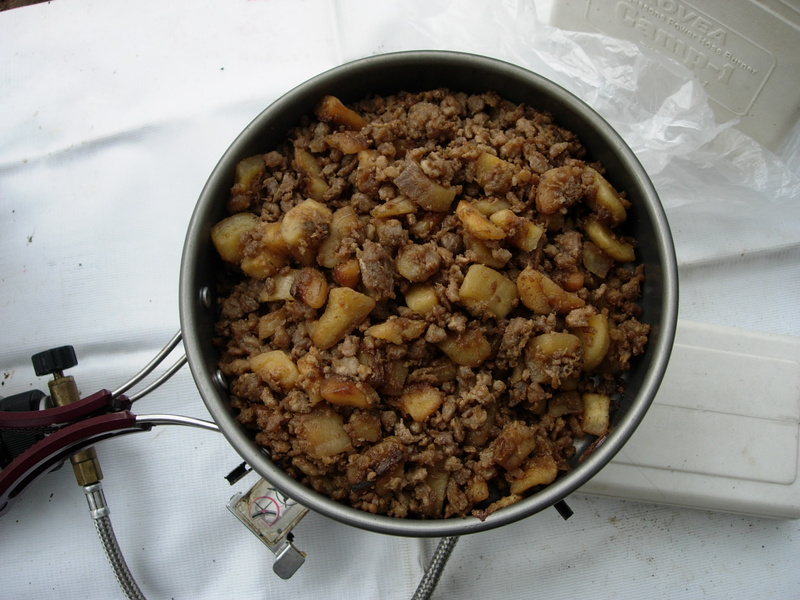 No one seemed to have made elaborate camp food preparations this time as all had pre-cooked meals. Even Rex, who usually whips up something gourmet was eating from a packed dinner. I re-heated my ground meat and ate them with tortillas drizzled with some cheez whiz and bacon dressing. Dessert was supposed to be smores but the marshmallows kept getting burned. So I simply sandwhiched a marshmallow and a square of chocolate between two graham crackers. Other groups arrived later in the evening. From afar, headlights danced across the dark trails as more people made their way. I think I slept past 12 already. I didn’t have too many shots during the socials especially the shots coming from Ben as the chaser was buko juice. When Mimay arrived, I quietly withdrew from the socials as I knew it was gonna be one hellavu drinking binge. In my tent, I could hear her calling my new. Fortunately, she didn’t know my tent. I didn’t get much sleep as i forgot to bring my tent’s footprint and my sleeping bag so it was kinda cold. The ground was a little sloped too. With socials still going-on and Mimay leading the pack, I stealithy stepped out of my tent to pee. Without any light on and slightly hidden by the mist, I managed to avoid detection else I would have been back at the socials if they had seen me. The morning dawned brightly and I ate my wraps again. 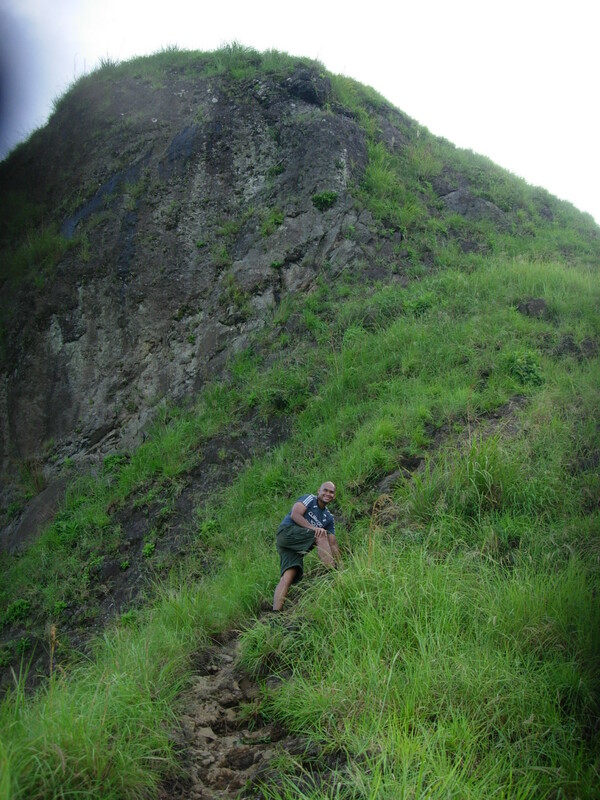 We made our way down around 10:30, had a buko break at the trail junction and went ahead of the rest. Back at the store where we had lunch prepared, I had a really really good bath. Cold water on sun-soaked skin really feels good. The best baths are really the ones immediately after a climb. No matter if you’re just in a make-shift shower, it always feels soooo good. After lunch, a few of us went home ahead and I was home sweet home by 5pm.